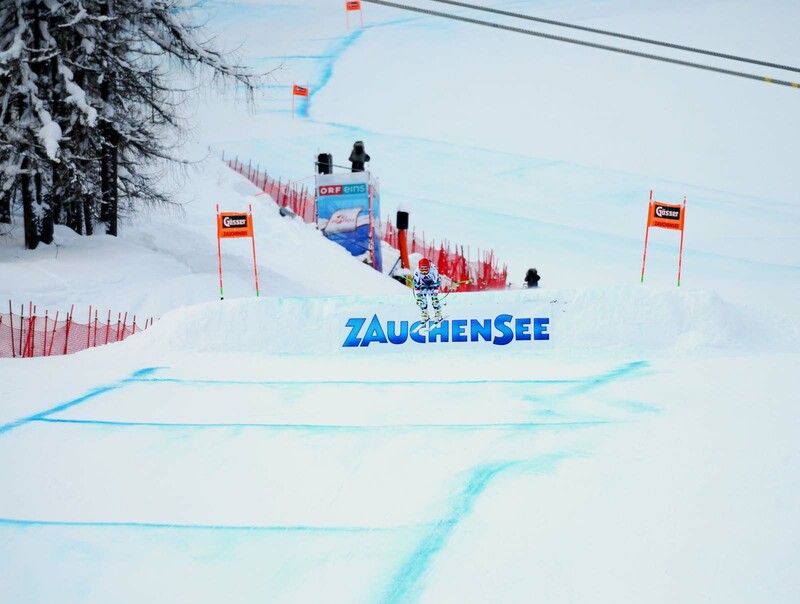 The ski area of Zauchensee is to hold a FIS World Cup ski race biannually in coming years. For the first time since 2017 the best women skiers in the speed disciplines of Downhill and Super-G will race here on the 11th and 12th January 2020. In fact then it will be exactly 40 years ago since the first World Cup race took place in our ski area. Perrine Pelen from France in Slalom and Jana Soltysova from the Czech Republic in Downhill were the first winners in Zauchensee in 1980. At that time the races still took place on the Gamskogel eastern slope, which today offers great skiing for all guests in our ski region. Both women were followed on the winners‘ podium in the years following 1980 by ski greats such as Petra Kronberger, Martina Ertl, Renate Götschl, Michaela Dorfmeister, Alexandra Meissnitzer, Lindsey Vonn or Elisabeth Görgl. 3, 2, 1, … go! Since 1990 races have been held on the world-famous and particularly attractive racing run from the Gamskogel through the “Kälberloch“. 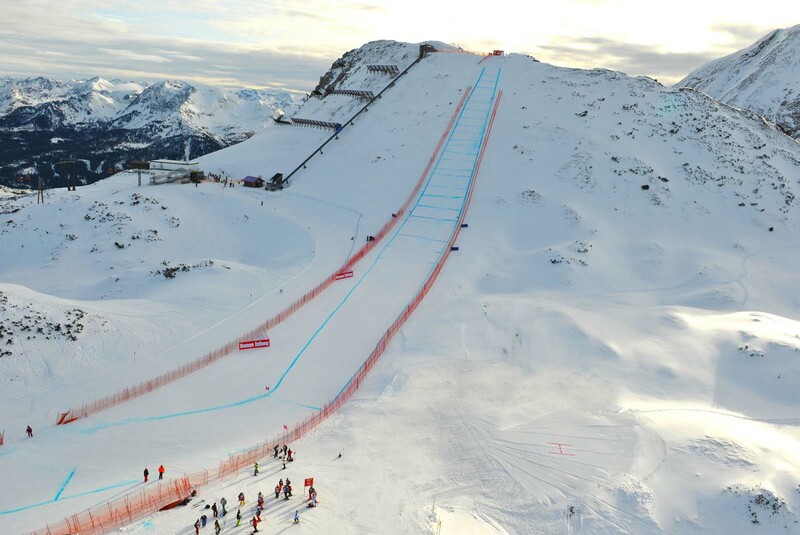 For the World Cup final in 2002 the downhill race was extended at the start area up to the peak of the Gamskogel. In that year the winners‘ list on the World Cup run in Zauchensee was complimented by two men: Didier Cuche in Super G and Stephan Eberharter in Downhill were crowned at the World Cup final in 2002, which was held jointly with Flachau, and up to now they’ve been the only male World Cup winners in Zauchensee. Since the World Cup races in 2007, women too start “right from the top“, at an altitude of 2.176m. 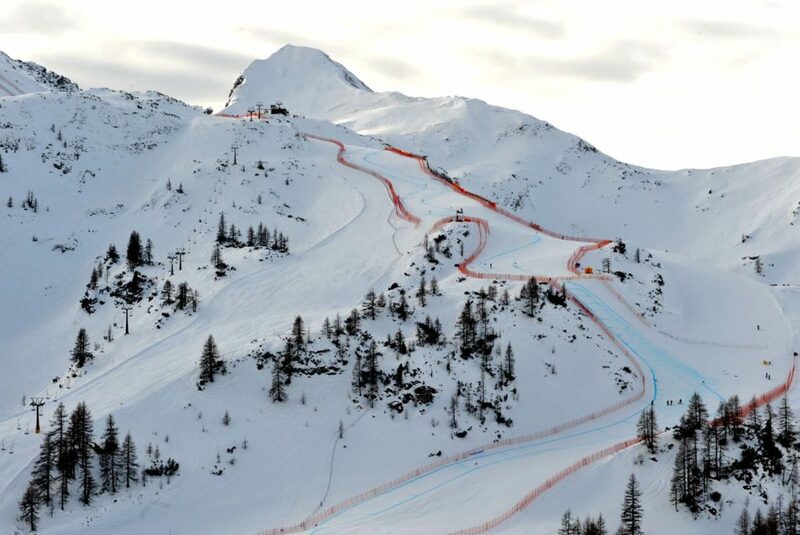 Since then the World Cup racing run in Zauchensee is classed as a “classic“ in women’s ski racing. In Zauchensee the sportswomen enjoy one of the most beautiful and technically demanding downhill slopes in the Alpine Ski World Cup. The world’s best lady skiers accelerate down the 70% steep start slope at a speed of 0 to over 100 km/h in just five seconds. It’s then full speed ahead over the following jumps called the “Hot Air”, “Jägersprung” and “Kälberloch“. There’s little or no time for the professionals to catch their breath as the extremely bendy run stretch through the “Kälberloch“, follows, crossing over into a heavy compression after the “Wasserschloss”. In the final third in the Schmalzleiten, the run demands every last bit of power from the sportswomen. At a speed of far more than 100 km/h and a wide leap over the finish jump the approx. 1:50 minute long run on the World Cup Race track in Zauchensee comes to an end. 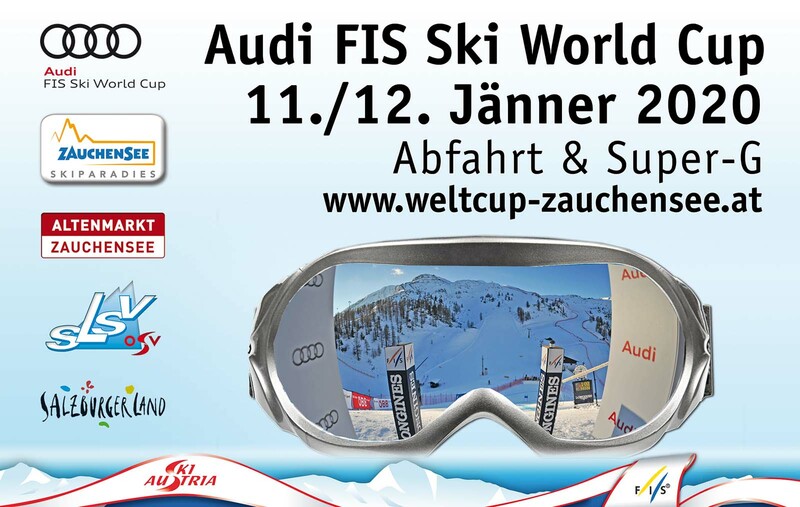 The fact that the FIS World Cup races in Zauchensee are firmly anchored in the FIS World Cup calendar, boosts the Alpine competence of the ski area and makes us here in Altenmarkt/Zauchenseer particularly proud. If you would like to experience the World Cup atmosphere here in Zauchensee, we look forward to seeing you on our “famous” slopes, no matter whether you’re a speed junkie or a pleasure skier.